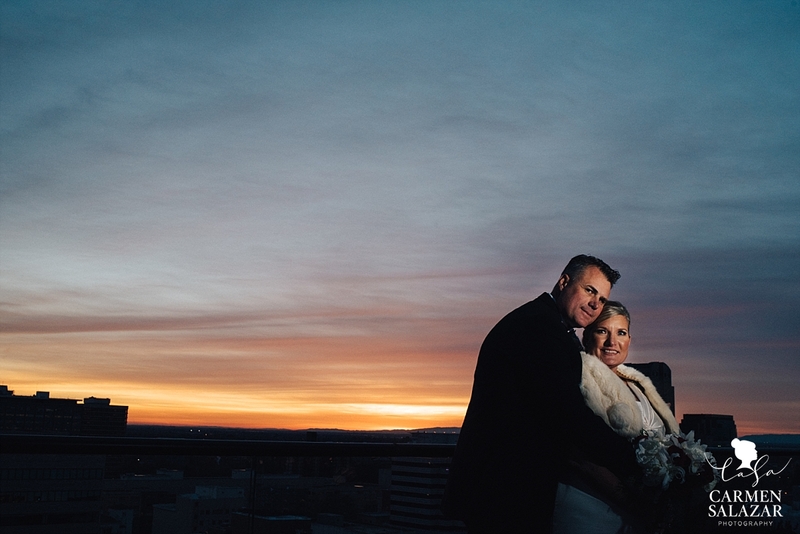 After our outdoor Roseville engagement session, I couldn’t wait to see Stephanie and Marc say “I Do”. 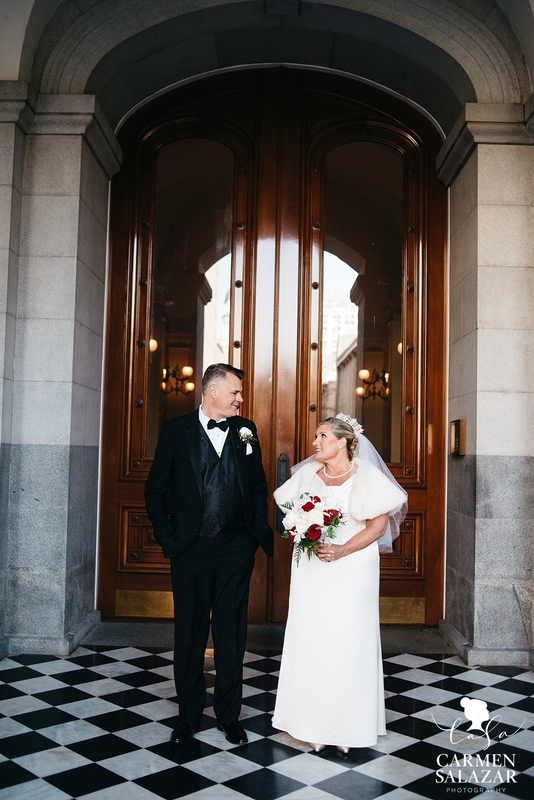 Our lovebirds got ready at one of my favorites, The Citizen Hotel. 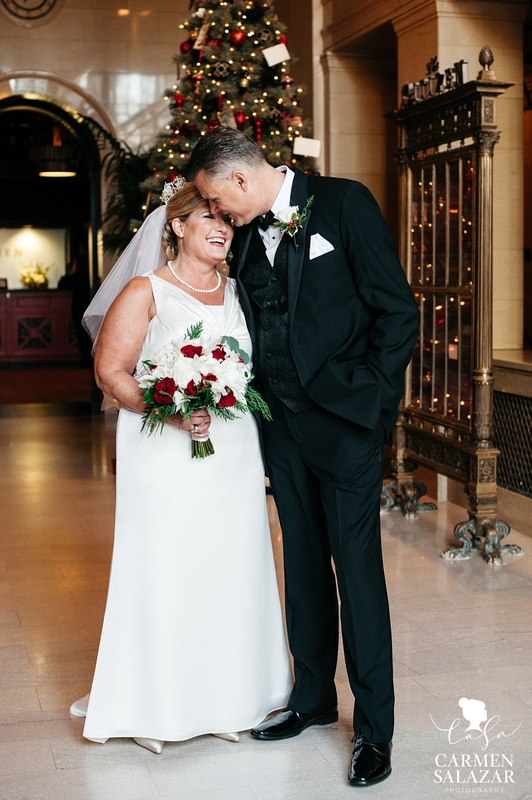 While our lovely ladies were getting ready, the amazing staff at the hotel were busy turning the ballroom into the perfect winter wedding reception. 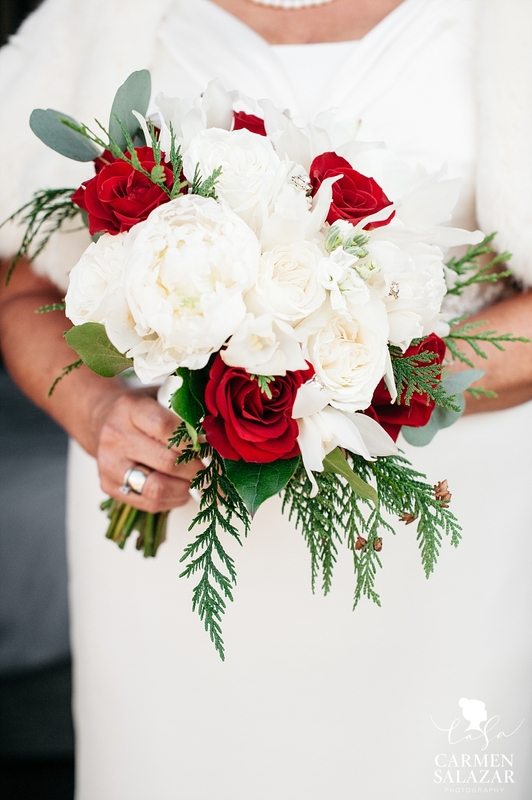 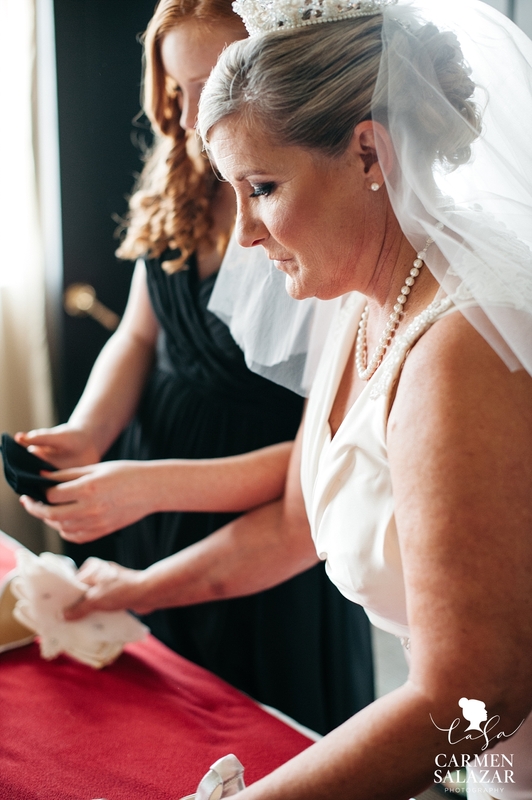 We love the vintage touches Stephanie added to her day. 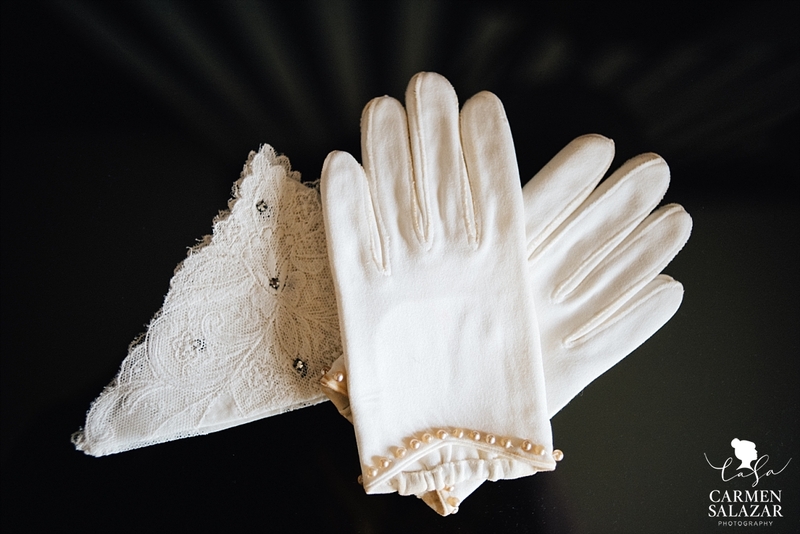 These gloves and lace handkerchief were her mother’s along with the veil and tiara she wore. 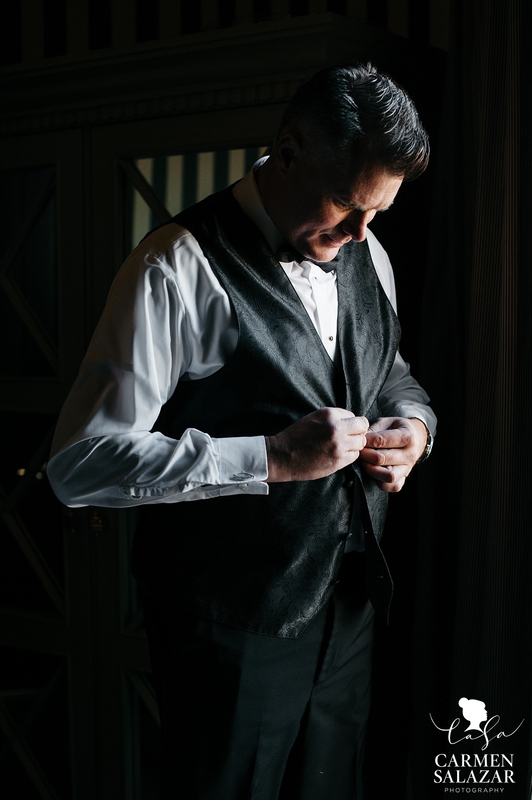 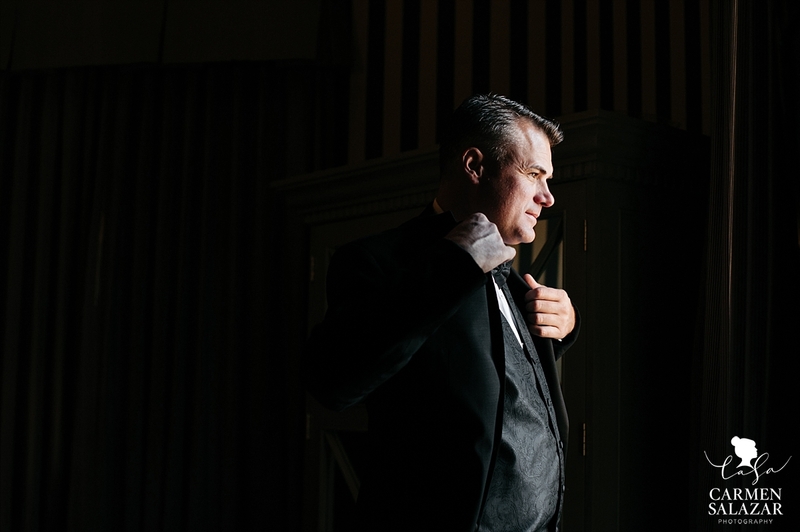 Our handsome groom Marc getting ready in the most lovely light. 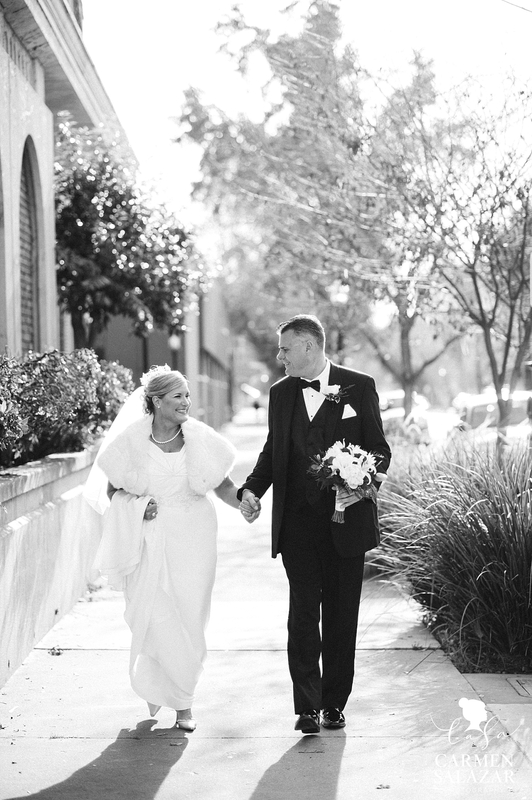 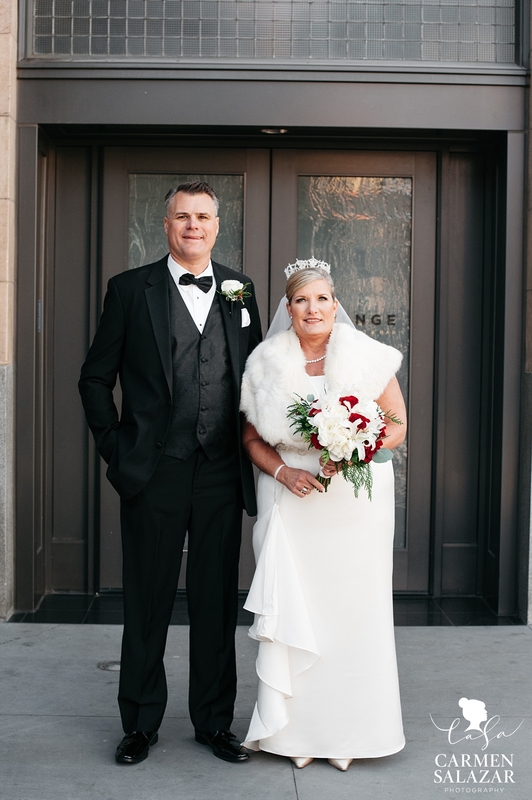 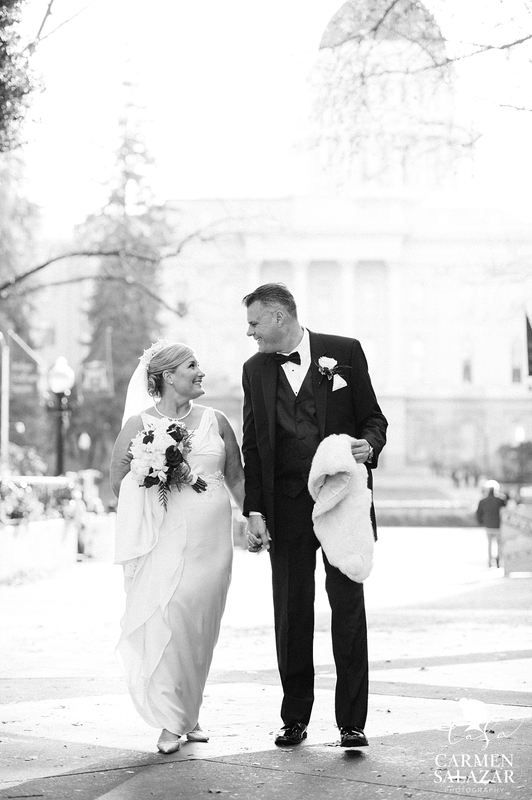 The beautiful bride looked like a wintry princess at her first look with her groom! 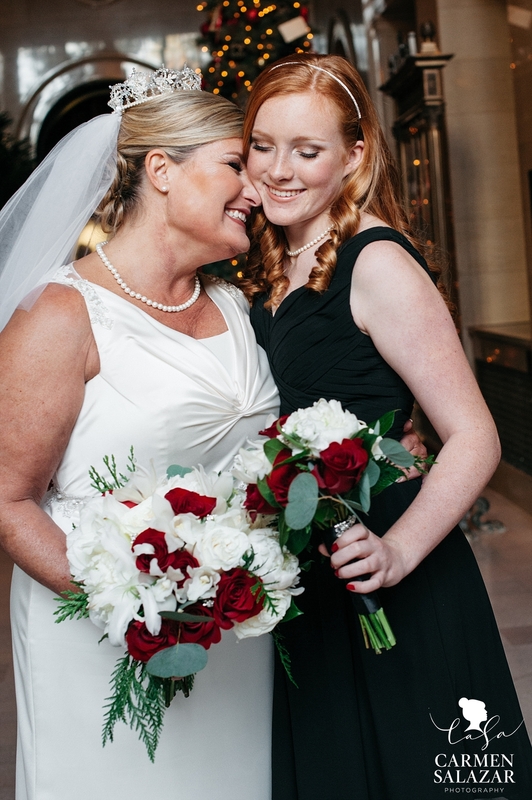 And her daughter Julia couldn’t stop smiling at her beautiful mamma. 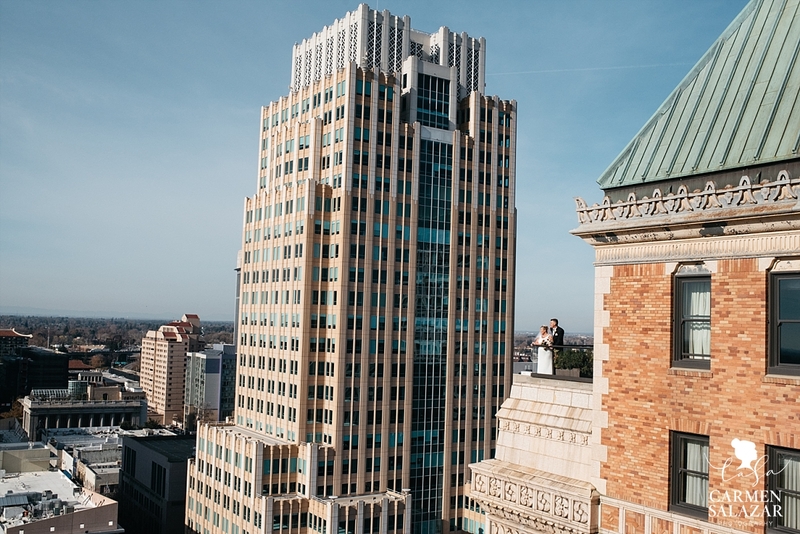 The Citizen’s penthouse and balcony are DREAMY. 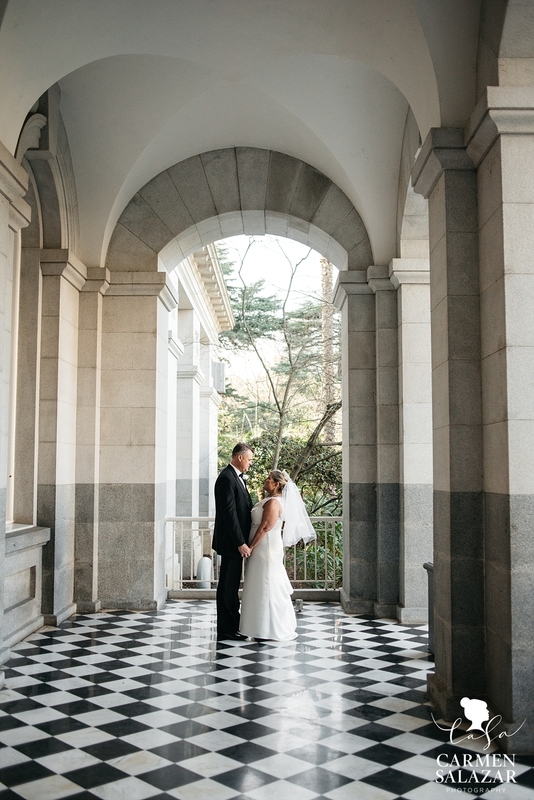 I love my couples who heart Sacramento as much as I do! 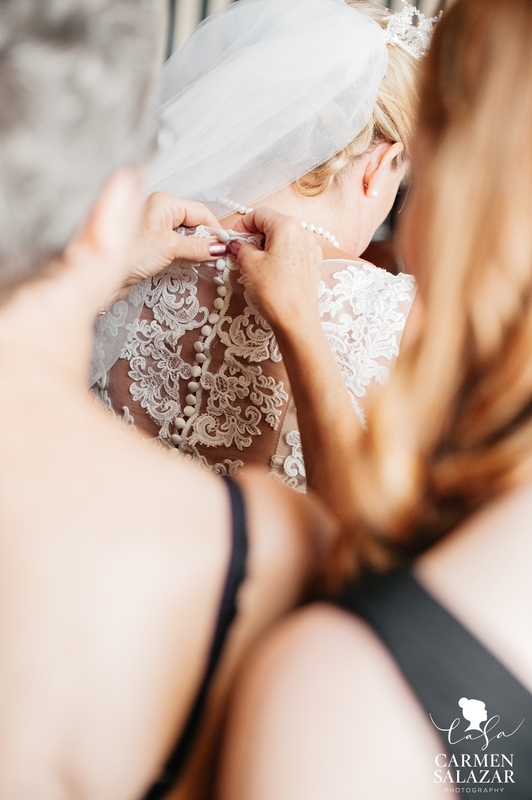 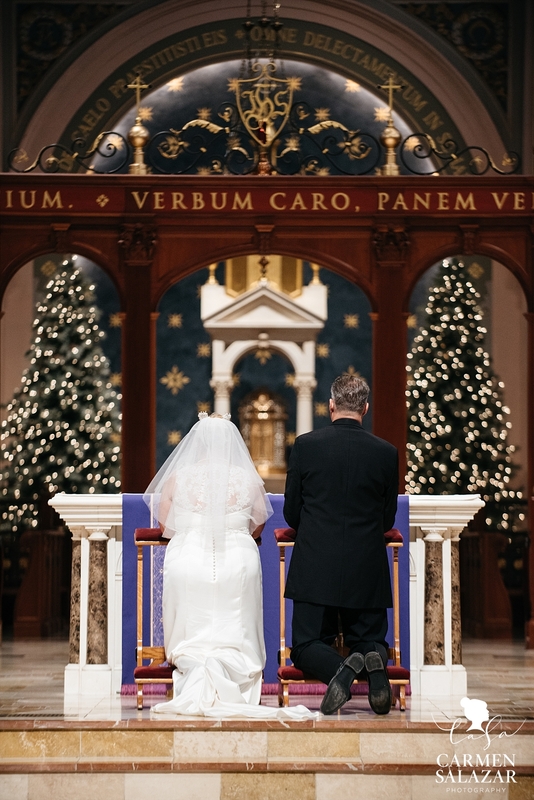 One of the most important parts of Stephanie and Marc’s Big Day was their faith. 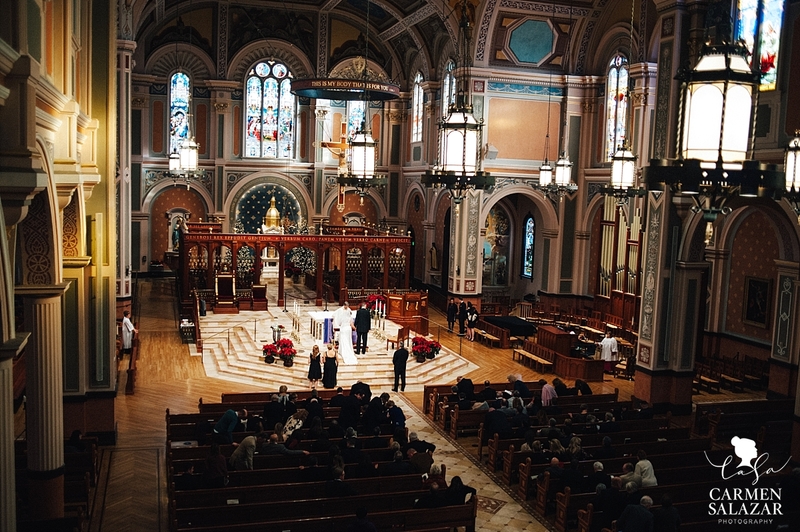 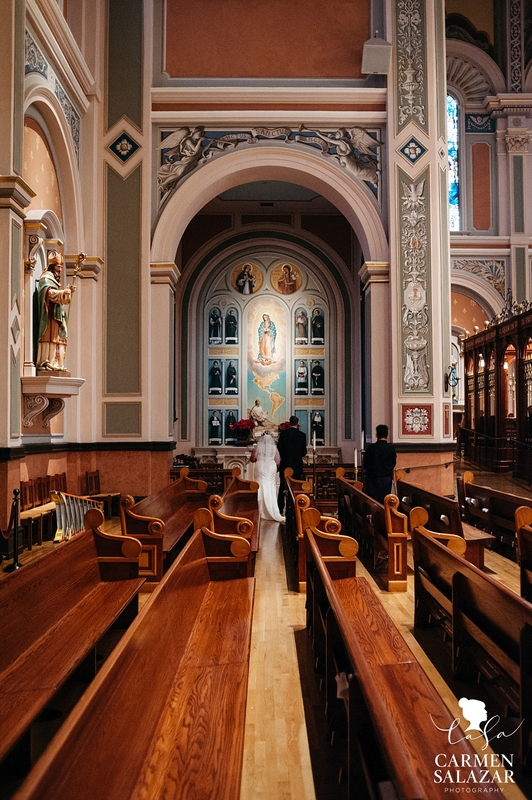 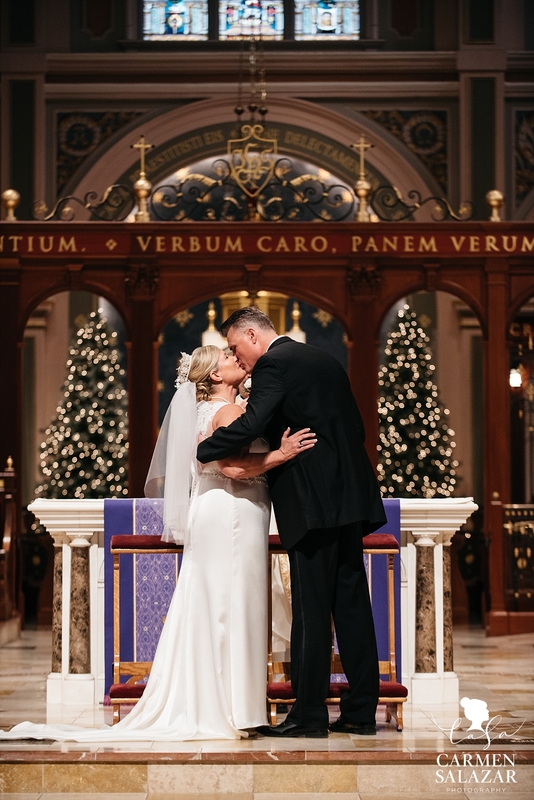 With many Catholic friends and family (all the way from France), Cathedral of the Blessed Sacrament could not have been a more beautiful place to be married before God. 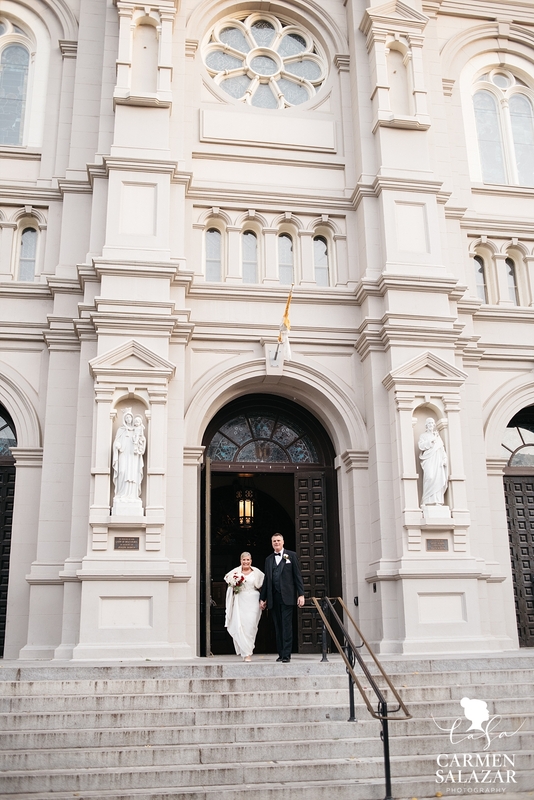 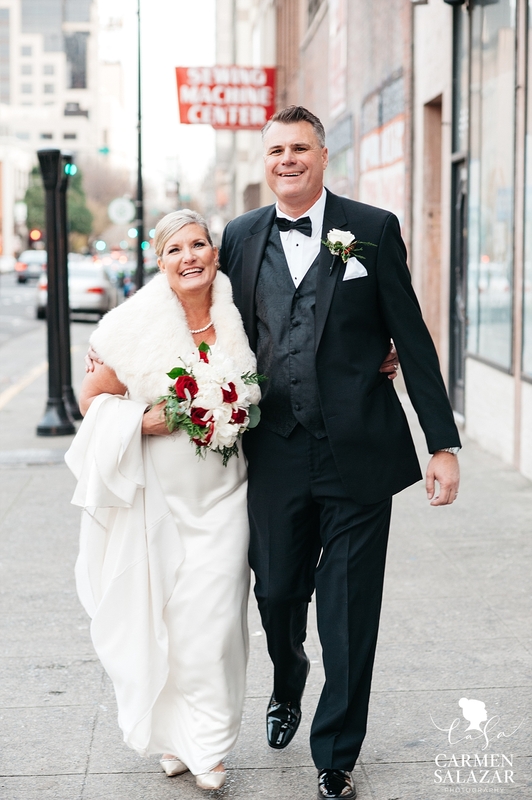 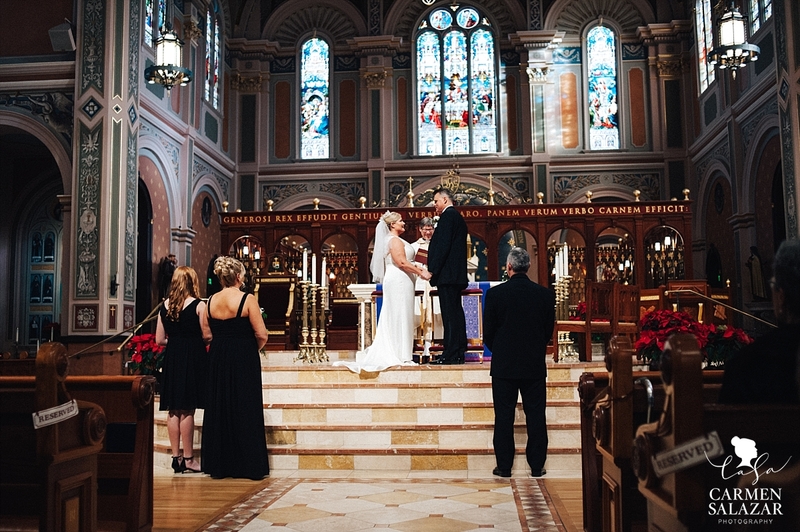 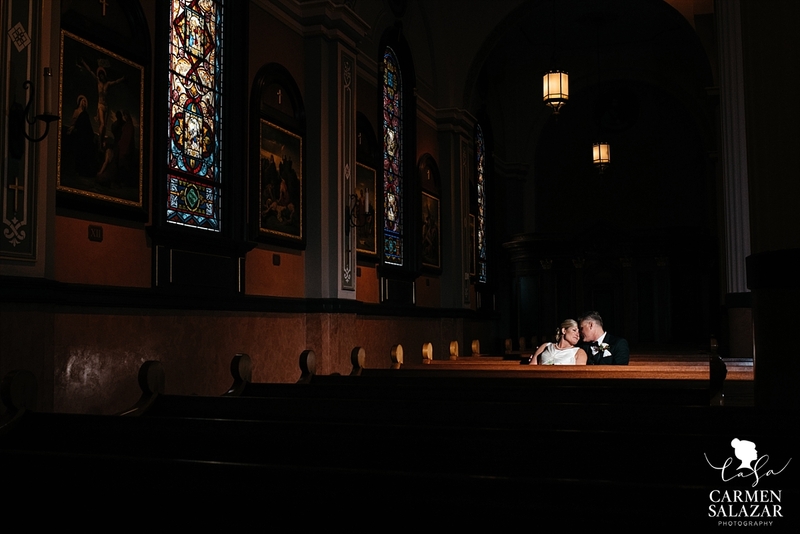 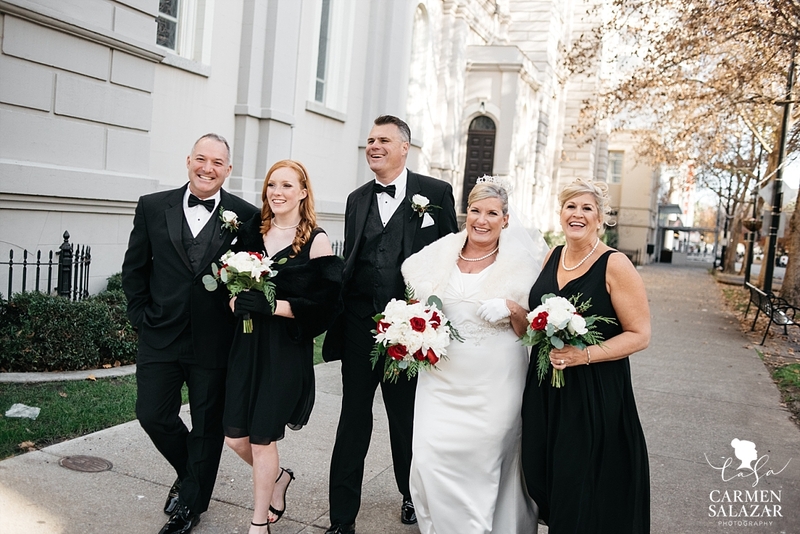 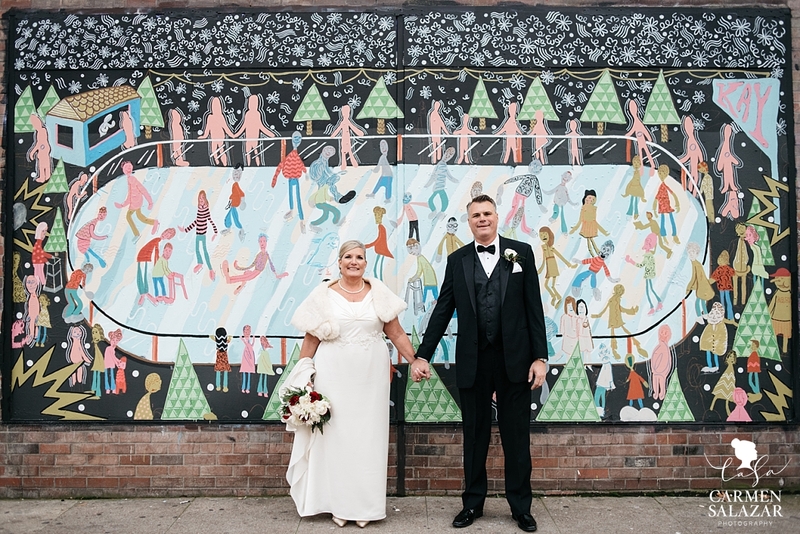 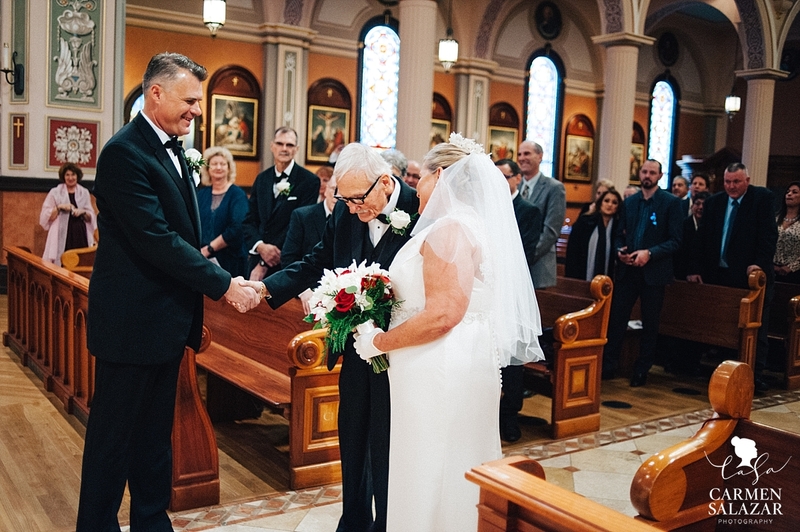 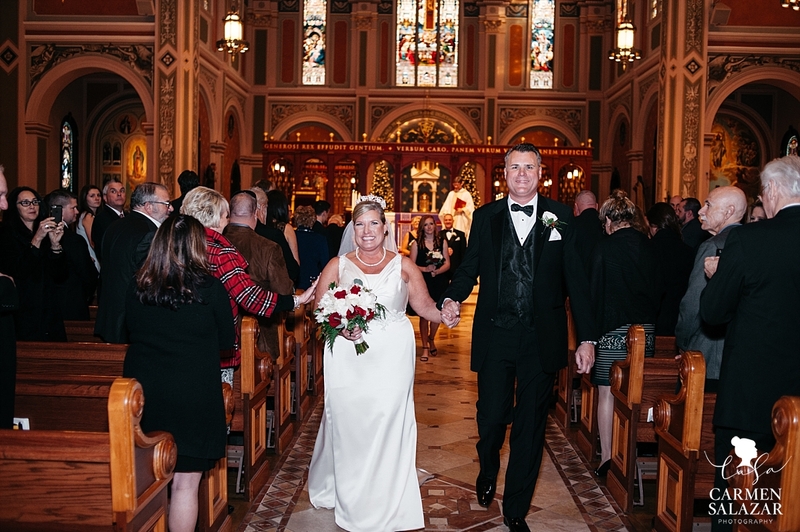 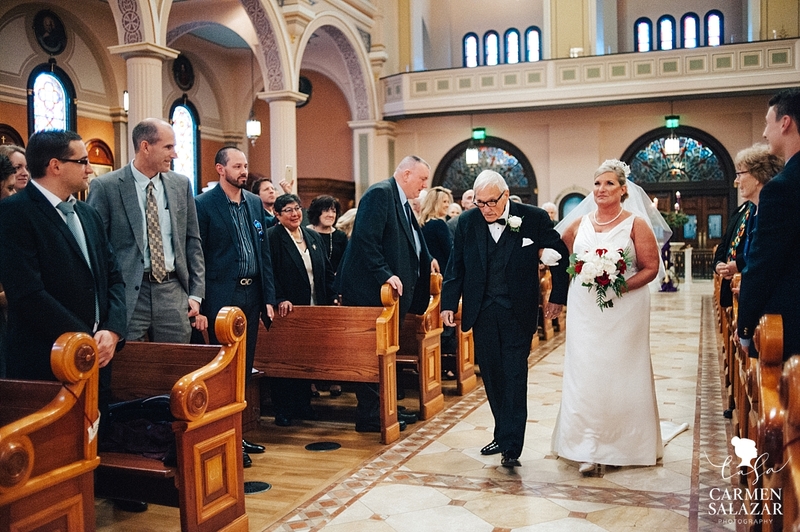 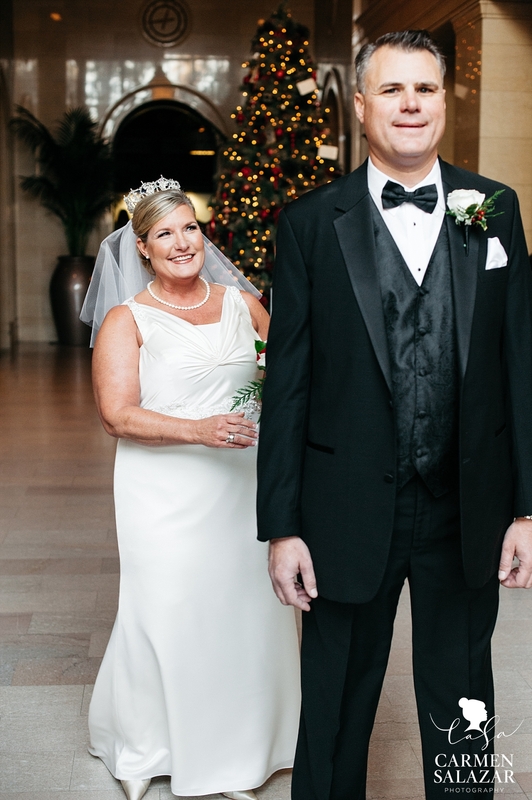 Church is actually what brought our lovebirds together — they met volunteering at a St.Rose auction, and belong to the Cathedral of the Blessed Sacrament as well. 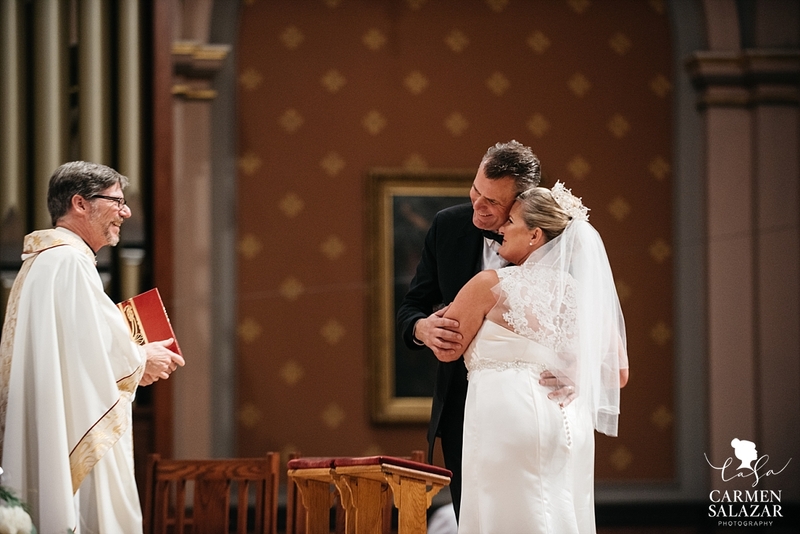 Father Michael O’Reilly has known Stephanie and Marc for years and was overjoyed to marry them. 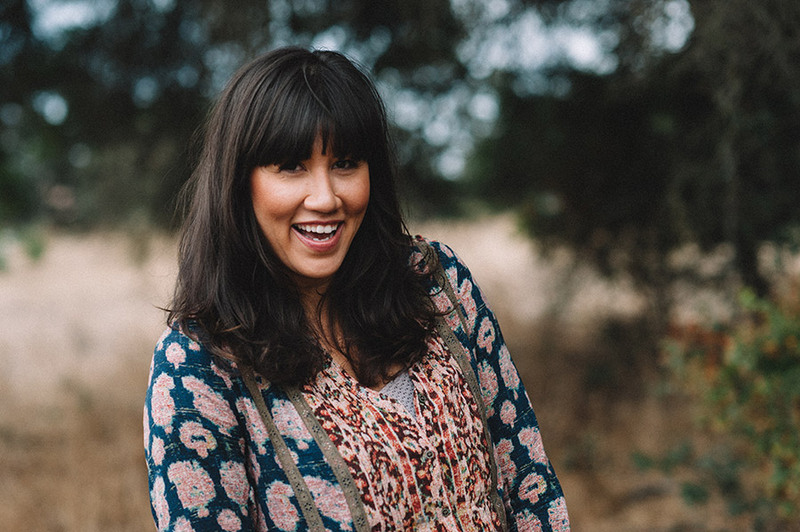 I fell in love with Stephanie and Marc’s fur babies! 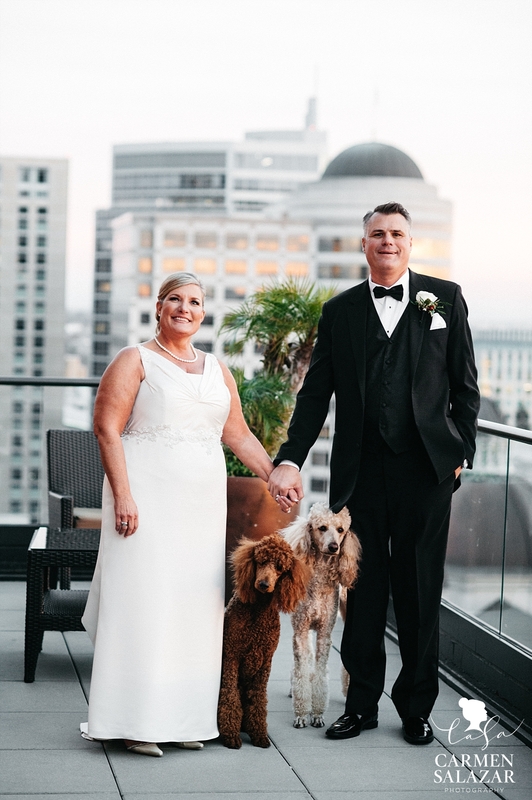 These fluffy pups were the nicest, well-trained poodles I’ve ever met!. 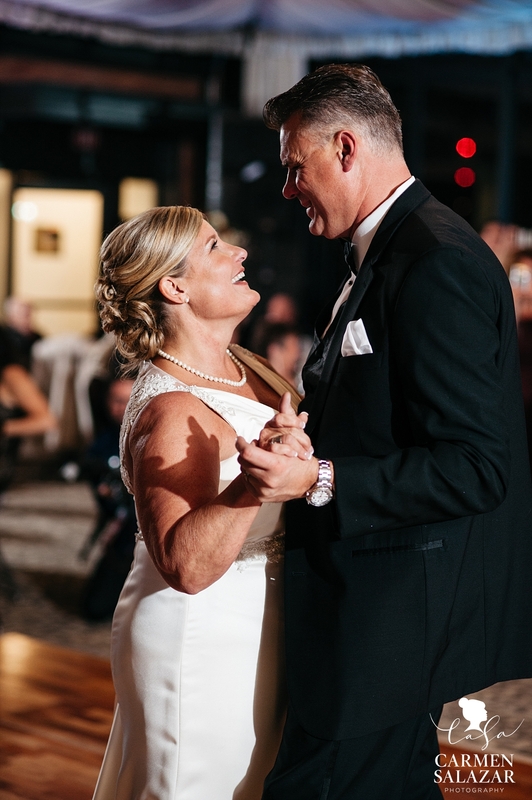 Bring on the waterworks! 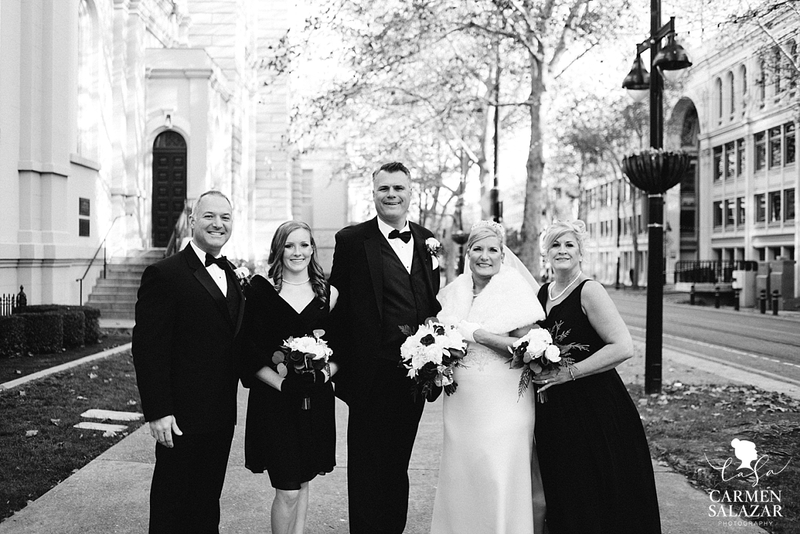 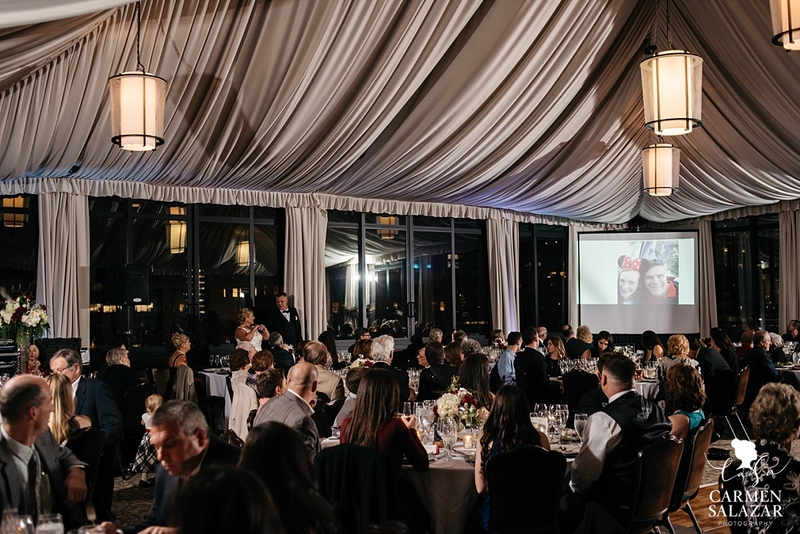 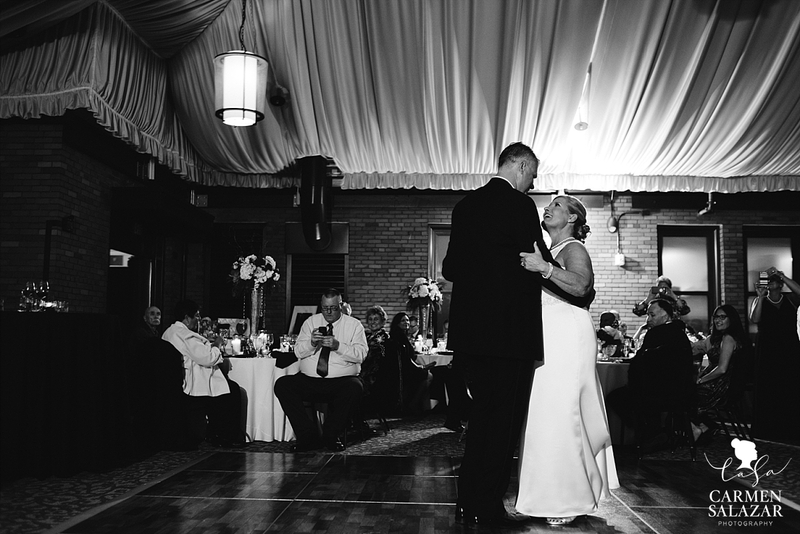 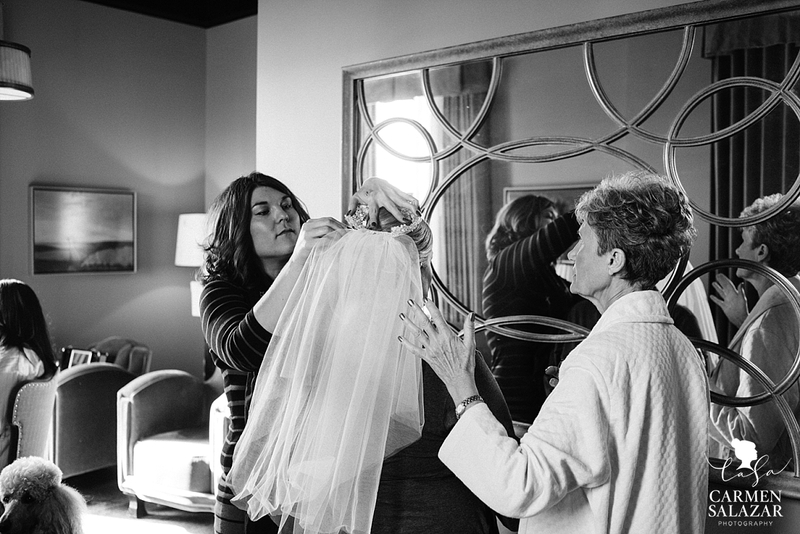 The beautiful slideshow of our newlywed’s family journey brought lots of happy tears. 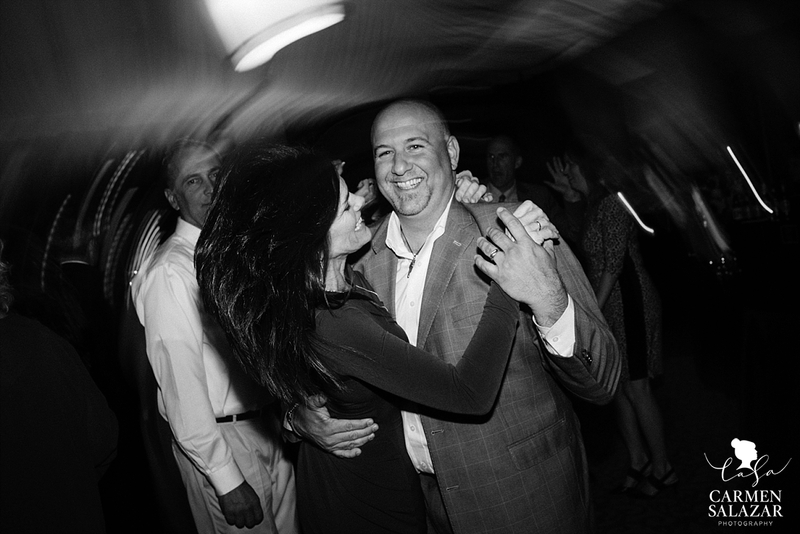 The bond between Julia and her stepdad Marc is too sweet. 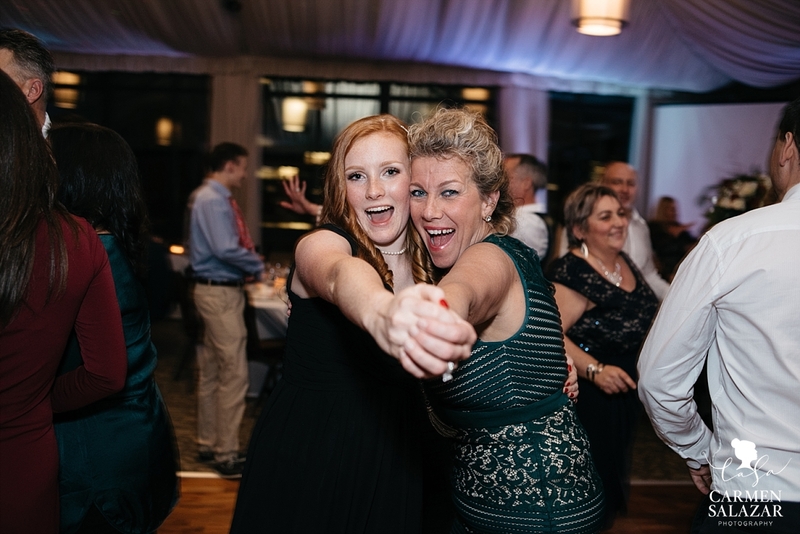 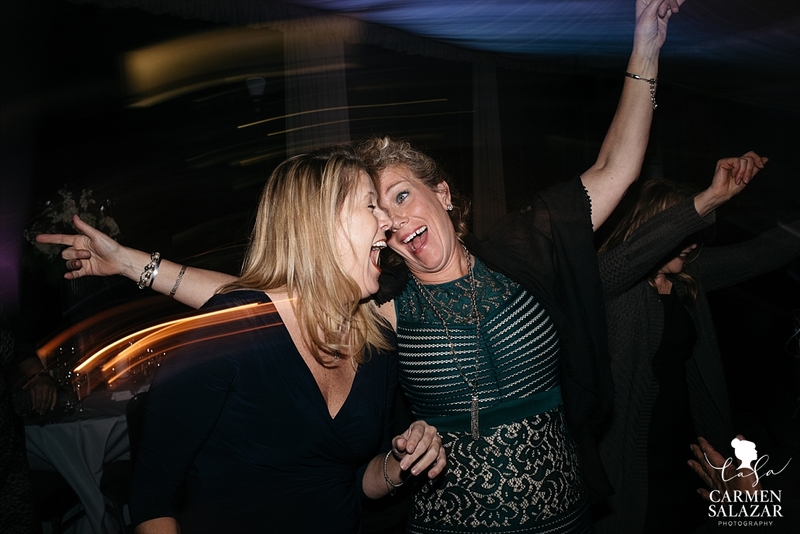 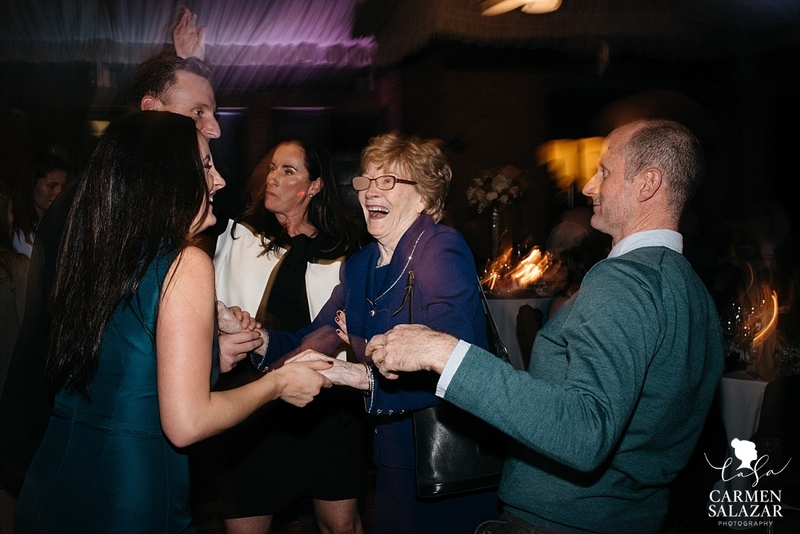 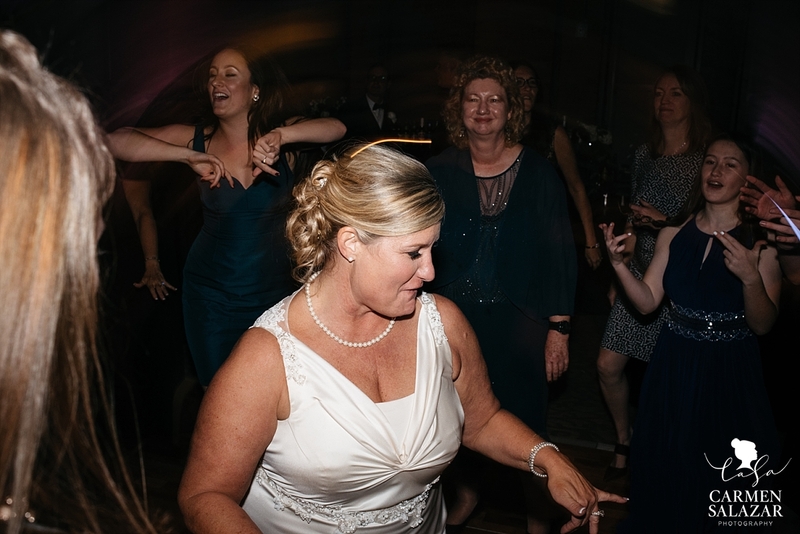 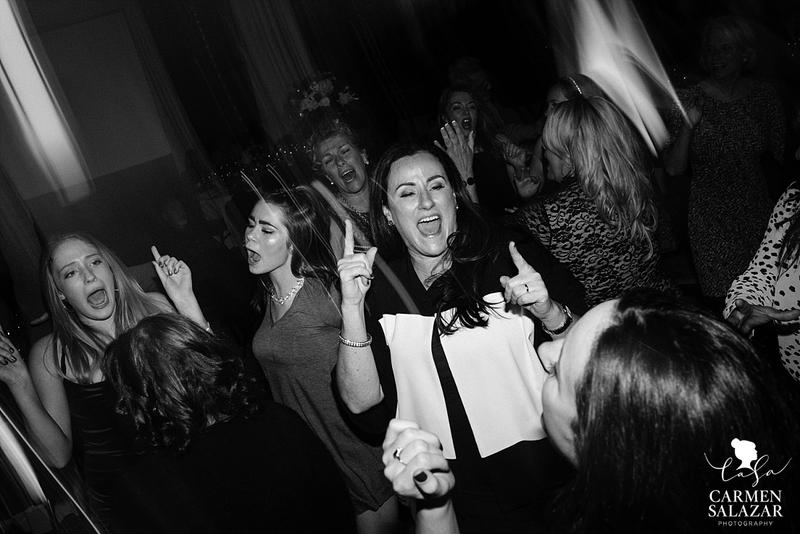 Stephanie promised to show off her dance moves — and gave out flip flops on the dance floor for tired feet!